The holidays in New York are arguably one of the best times to be in the city. While I'd describe myself as a bit of a Grinch, I must admit I love taking advantage of all the ways New York comes alive in December. Lets be real, after Christmas, there's nothing really left to look forward to until until Spring. And while I"m a fan of meandering around all the different neighborhoods, taking in the twinkle lights and beautifully decorated stores and stoops, I do make an effort to cross some things off my holiday specific bucket list each year. If you're planning a trip into the city during the holidays, hopefully my roundup of activities will help you make the most of your time here. 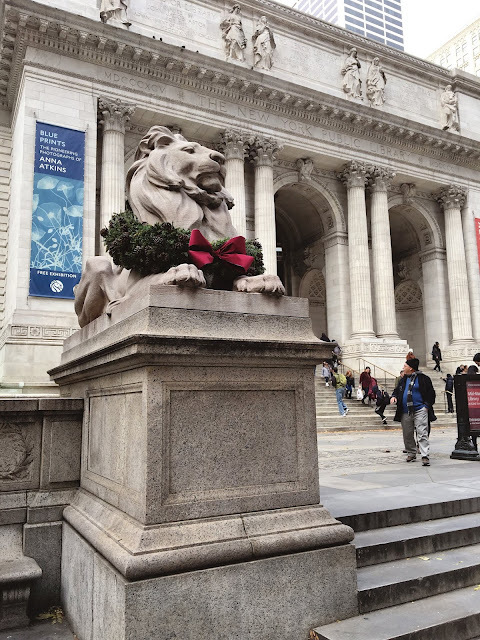 And if you're coming for an extended period of time and want more than just holiday related activities to do, be sure to check out my NYC To Do list for a more complete list of both cliche and off the beaten path activities at various price points. For the first couple years I lived in the city, I used to get together with girlfriends and make this a Saturday event. Yes it's super crowded, but its one of the few things I try to get to every single year. If you want my honest opinion, the Union Square markets trump Bryant Park. Rolf's is a German restaurant near Gramercy Park that goes all out for the holidays. Picture Christmas vomiting from the ceilings. I tried to go with a friend last year, but they don't take reservations and I hear it gets slammed if you go during the dinnertime or weekend rush. I'm going to try again this year, but this time I think I'll try to go closer to openning in the hopes that I can get in the door in under an hour. Wish me luck! There are a number of great rinks in the city including Rockefeller Center, Lasker and Wollman in Central Park, Bryant Park and the Standard. I've only ever been to the Bryant Park rink, but I think the Central Park ones would be more iconic. Just be prepared for it to be super crowded no matter where you go. Saks Fifth does an amazing light show on the side of their building that shouldn't be missed. Located across from the Rockefeller tree, you can knock out two holidayto-do's in one shot. Rockefeller is the most well known tree, but the trees in Washington Square Park and by the NY Stock Exchange downtown are worth your time as well. The little courtyard on Grove St (near the Friends building) is my favorite during the holidays, but the doors in their neighborhood are always so classically decorated as well. I've been dying to get to this part of Brooklyn during the holidays since I first heard about it a few years ago and while I didn't get the opportuntiy to go until last week, it certainly did not disappoint. One house had two working carousels in their front yard as well as what had to have been 20 ft nutcrackers standing guard by the front door! Are you joking!? We went early in the season so there weren't crowds, but that also meant not all of the houses were set up yet. I'd recommend going a week or two before the holidays if you want to have peak viewing. Fun fact: some homes spend upwards of $20k putting up their yearly decorations. I just heard about this this year and now I'm dying to ride one. I may be one of the few remaining people in New York that still prefer the Subway as my main form of transportation, so riding a holiday themed vintage one is the stuff dreams are made of. Check out the schedule here. Both the NY Botanical Garden and Grand Central have yearly train shows. The NY Botanical Garden is a bit far for me, so I haven't done it yet but this is the year I plan to finally make it to the Grand Central one. I've been fortunate that my friend has gotten us comped tickets to the show the past two years, but Today Tix usually has deals if you're interested. Personal fun fact: the first time I ever came to New York was in 3rd grade on a church bus trip with my grandmother to go see the Rockettes. We came all the way from Maryland and basically only had time to grab a bite to eat and see the show, but for a good few years after I kept working on my high kick in the hopes I could one day being a Rockette. The holiday show at MSG seems to change yearly (last year it was Elf) but its a great activity for kids. Discounted tickets can be found on Today Tix. I'm not big on hot chocolate that isn't Swiss Miss (yes, I know I'm strange), but people seem to love City Bakery's hot chocolate topped with a big homemade marshmallow. If you'd rather, grab a frozen hot chocolate at Serendipity. This one is a bit cost prohibitive for me, but I've been a fan of the Nutcracker since I was a little girl. The NYC Ballet version is the most iconic, given that its at Lincoln Center, but from what I've read, there may be other opportunities to see the famous show throughout the city. I have a promise to myself that I will eventually get to this show before I leave the city. I'm not sure if this is unique to the 2018-19 season, but if you've already done all the other must-see holiday shows, this one may be worth checking out. 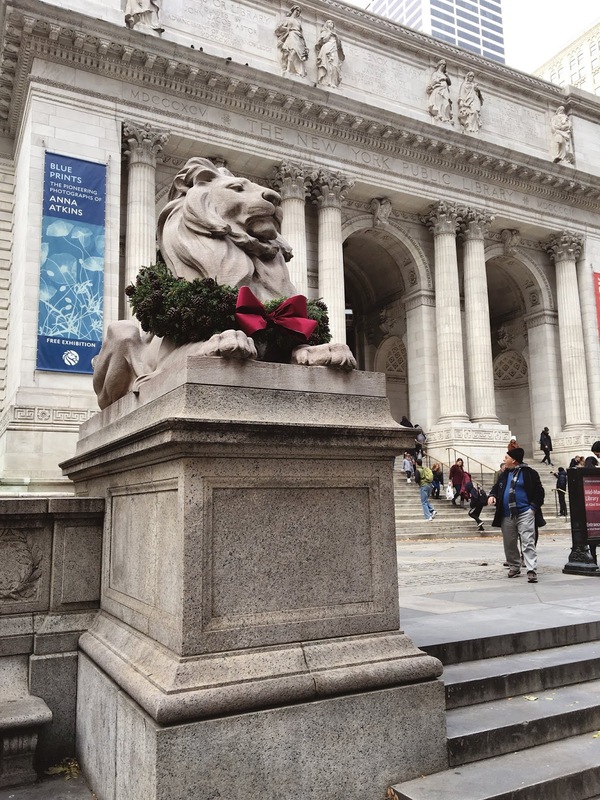 What are your favorite things to do in the city during the holidays? If you check out any of my suggestions, leave a comment below!